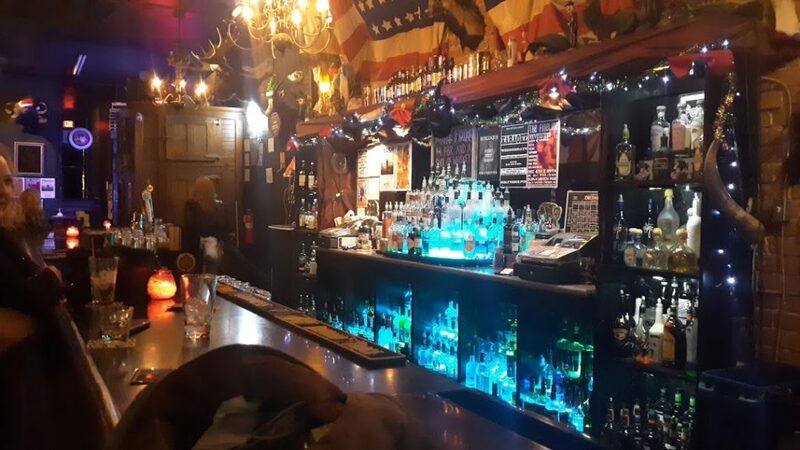 Hidden on one of the main strips in Downtown, Tucson is a modern industrial pub called the Surly Wench. Enter the bar through a large ironclad door and find a large dimly lit space with an eclectic style. The pub is a cross between modern industrial and victorian design, with retro pieces placed throughout. You’ll find black leather upholstered barstools and high back, button tufted seating for dining. There is a large stage and dance floor towards the back and pool tables lit by blue neon glowing signs. 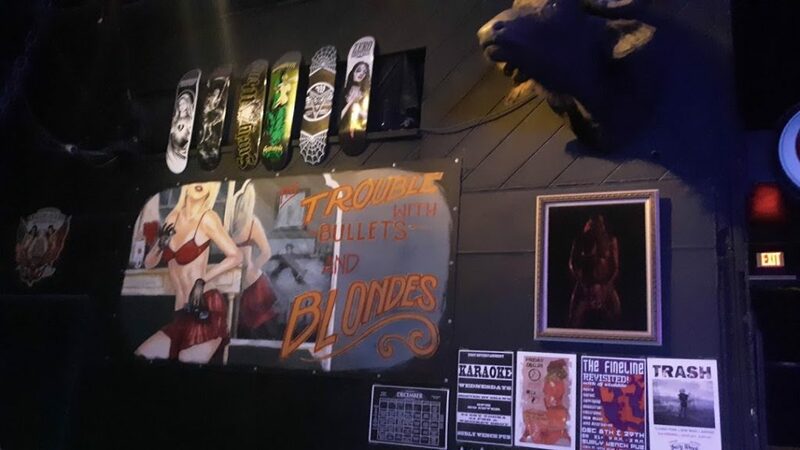 There is artwork everywhere and the pub seems to honor the femme fatale or simply put, “badass” women. 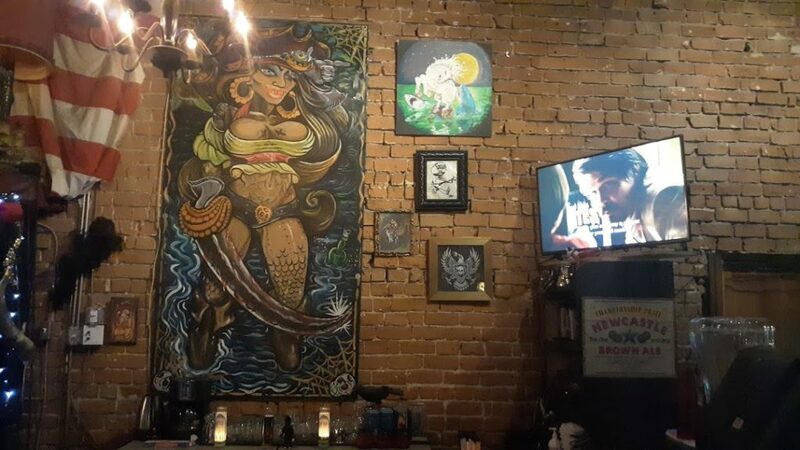 Above the bar, you’ll find a large american flag, an acrylic painting of a voluptuous lady pirate done in an americana tattoo style hung next to a contemporary painting of a female unicorn fighting off two large sharks. 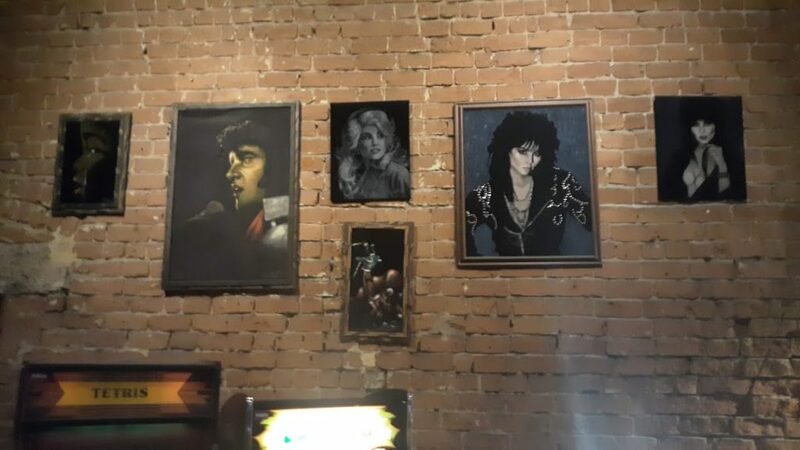 On the wall directly opposite of the bar, photos of vixens like rocker Joan Jett and everyone’s favorite classic television vampirette Elvira. 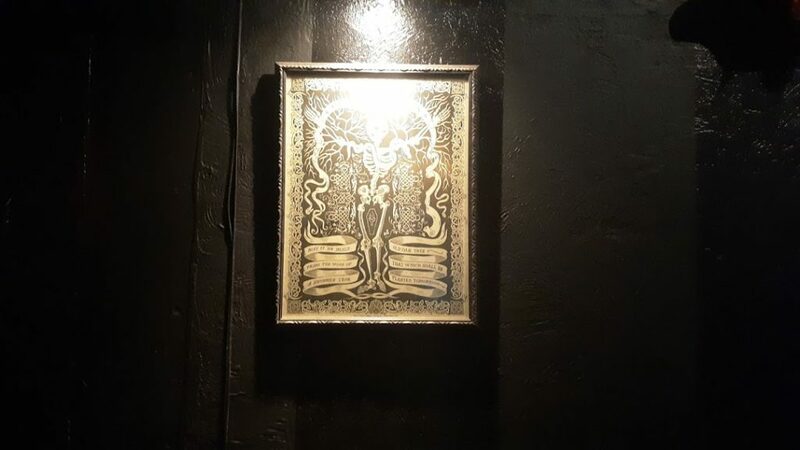 Above each dining table, lithographs done in a similar americana tattoo fashion of skeletons in top hats, baphomet the goat devil and tributes to the English occultist, Aleister Crowley. 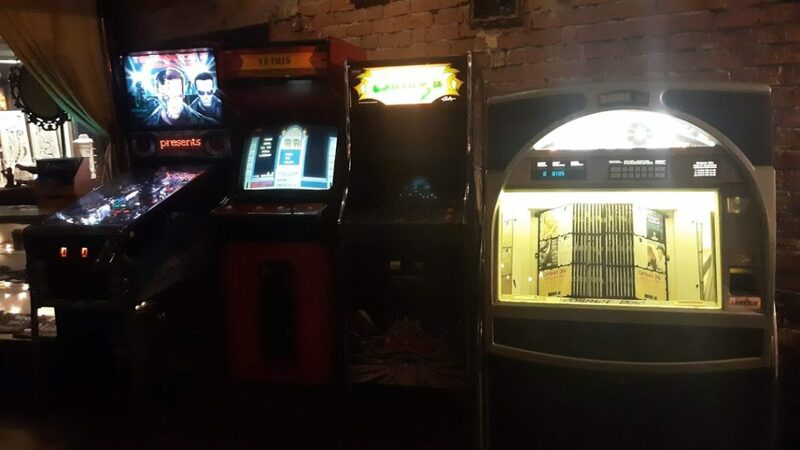 There’s an old-fashioned styled jukebox for playing tunes and a air hockey table for entertainment in the corner. Go there on a good night to find open mics, comedy shows, industrial / synth pop tunes or funky vinyls being spun. 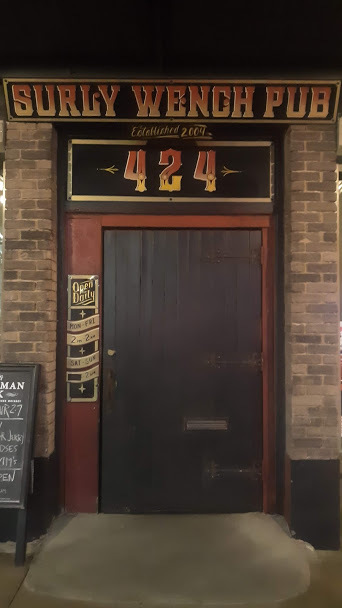 Specials include a shot of house whiskey and a PBR or a Sailor Jerry for a few bucks. The Surly Wench is a dark treasure in Tucson, AZ.